Scripted by Stephen King, based on his short story. 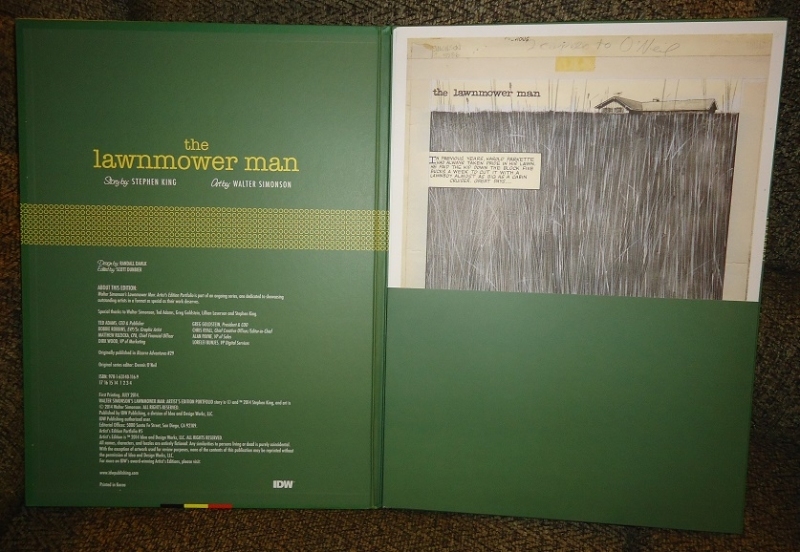 OVERVIEW: Artist Portfolio Edition of Stephen King and Walter Simonson’s Lawnmower Man Stephen King's The Lawnmower Man is a classic short story that was the basis for a hit motion picture, which Stephen King later had his name removed from as it didn't relate to his original story. So this makes this the only graphic version of Stephen King's story and more importantly it was adapted for comics by Stephen King himself! 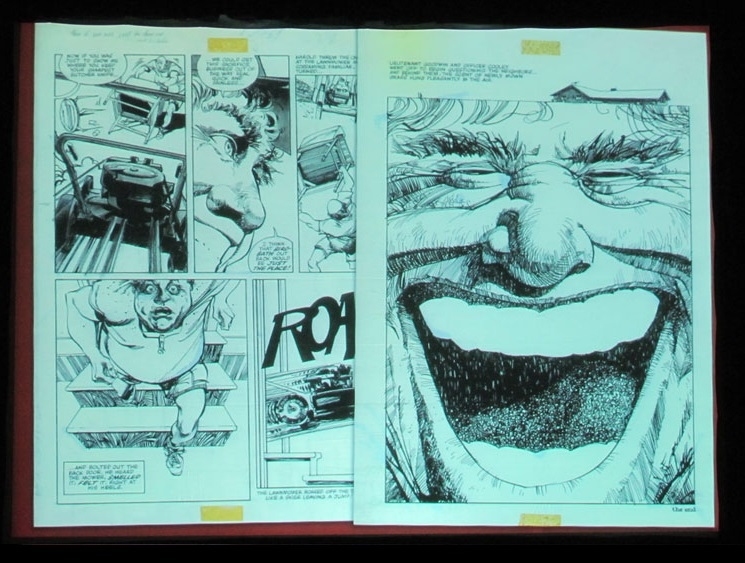 Drawn by legendary comics artist Walter Simonson. 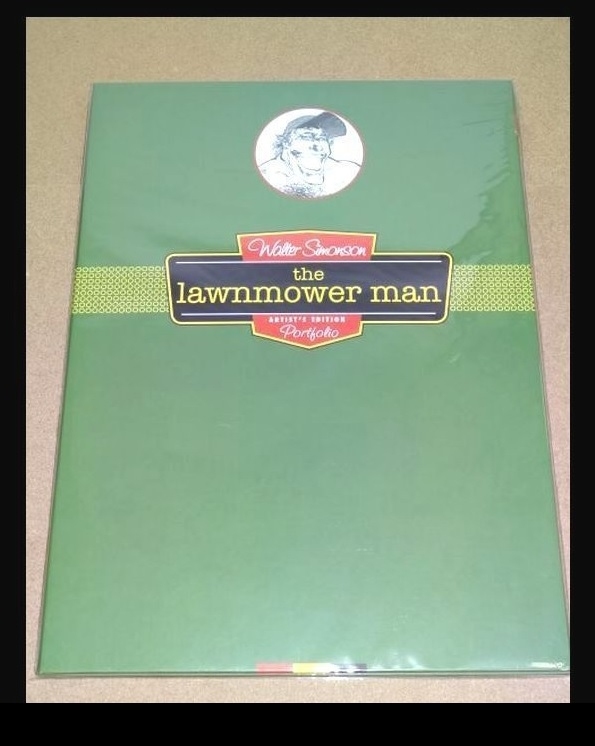 Only published once, in a rare Marvel magazine, this is the first time since 1981 that The Lawnmower Man has been available to comic readers. 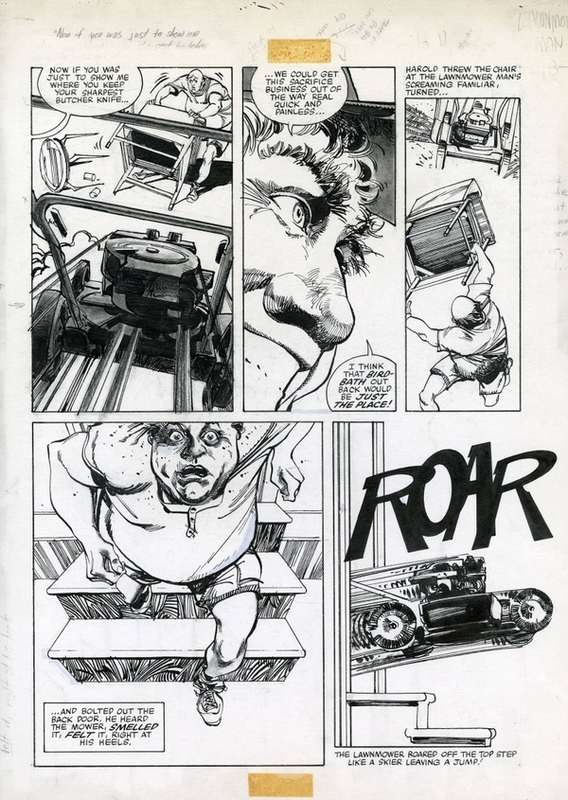 Printed to the exacting standards of all Artist's Editions, this portfolio is a must-have item for Simonson and King fans alike! 2014 Sealed and sent in a box for complete protection.